TOMS RIVER, New Jersey (WABC) -- A New Jersey teenager who went missing, setting off an intense search and ultimately inspiring an ultimatum, has been found safe. Family attorney Jef Henninger said Wednesday night that the Toms River Police Department had 17-year-old Ashley Combs at the station. Combs attends Toms River High School North and had been last seen on Friday. Authorities say she was with her biological father, who is now being charged along with two others. Additionally, during the course of the investigation, it was learned that there were concerns about Combs' home environment. Given the totality of the circumstances, a referral was made to the New Jersey Department of Child Protection and Permanency. The biological father, 44-year-old Brian Combs, of Jackson, previously served a year of probation for a shoplifting conviction. He is also facing charges for allegedly fleeing the scene of an impaired-driving crash in Lakewood in January. Earlier in the week, Henninger said the family believed someone took her. They issued an ultimatum for her safe return by Tuesday morning at any police station. At that time, Henninger said the person who had Combs would be prosecuted to the fullest extent of the law. 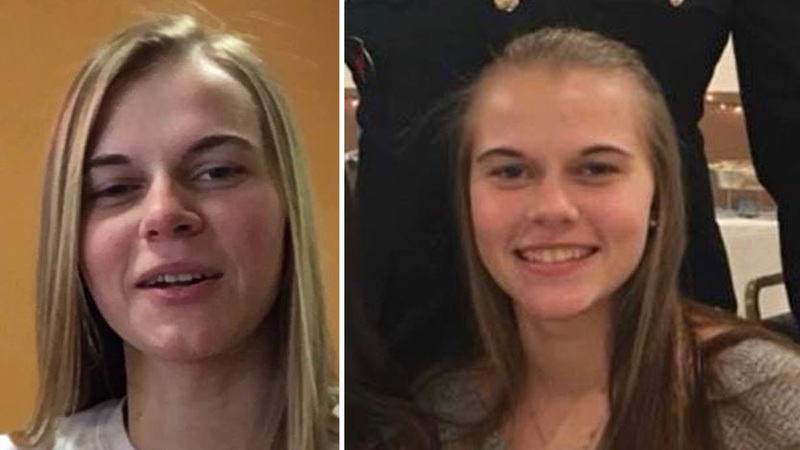 The statement said, in part, "While it is true that the evidence we have leads us to believe that she was not abducted from school, we have no evidence to believe that she had planned to be away from home for an extended period of time. She did not have a change of clothes or much money. We also don't believe that she's living on the street somewhere. Someone has her, and that person knows that what they are doing is illegal, and they don't care." "I want to send a very clear message to the person or persons that may have Ashley. She is a minor and you have committed a very serious crime. We are giving you 24 hours to drop her off at any police station. If that is done, the family will not focus on what you have done. They will just be happy that she is back home. However, if she is not returned by 9am on Tuesday, the family will not stop until she is found and she will be found. When that happens, you will be prosecuted to the fullest extent of the law. You cannot even begin to comprehend the legal nightmare that you could be facing. I encourage you for Ashley's sake and your own family's sake to do the right thing before Tuesday morning."